Published six times per year, Panel World covers technologies, product developments and mill machinery project installations in the international wood products segments, including softwood veneer and plywood, hardwood plywood, orient strandboard, particleboard, medium density fiberboard, decorative veneers and laminates. The purpose of Green Living magazine is to encourage synergy between individuals, local businesses and corporations to create a more sustainable environment. The magazine bridges our modern life with green wisdom focused on promoting a sustainable lifestyle that minimizes overall impact on the environment. Green Living magazine brings the latest and greatest in green products and services, as well as easy solutions for the live, work and play part of life! Montrose Daily Press is a community newspaper published Tuesday through Sunday mornings by Wick Communications. It is available at racks and delivered to homes in an around the Montrose area. Features include a news section, classifieds and more. Speak slowly, clearly and without jargon. Don't use abbreviations or acronyms. 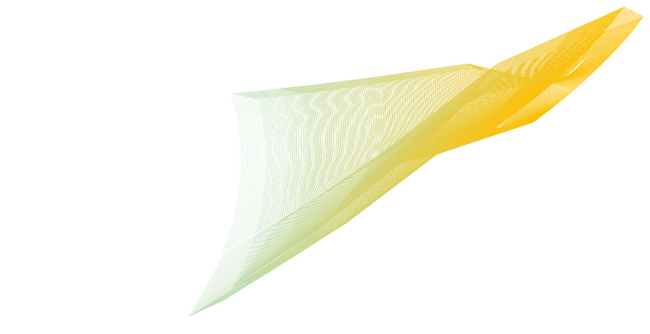 When possible, show things on a live screen to illustrate your points. Relate what's happening in digital media by using a few key, easily definable words. For example, users = viewers and/or readers. Total uniques = monthly audience. Banners = ads. Pre-Roll = commercial, etc. Do not claim digital advertising is the only thing that matters. It doesn't help your case, and it's not accurate. Show respect for traditional media. The advertising business was not invented with the Internet. It helps to focus on the commonalities of media from a larger perspective. Keep in mind that the objective of all media, whether print or digital, is to connect consumers with brands. A study from comScore gives new perspective to the old saying from John Wanamaker that "I know half of my advertising is wasted, I just don't know which half." Now we know it's a third that is wasted, not half, and it is wasted on the ad networks. 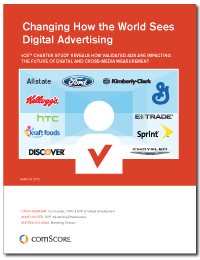 ComScore's vCE Charter Study illustrates the point. ComScore's "vCE" stands for Validated Campaign Essentials, answering the question: Did the impressions get delivered, and did they do so in the desired environments? ComScore has validated what we knew already. Network inventory is priced low for a reason: too much of it is of very low to zero value. And media buyers are generally not caring properly for their client's interests by purchasing it. Publishers of premium original content, the content that is based on firsthand reporting or original thinking, have had a difficult time generating revenue streams that will cover costs and deliver a profit. Advertisers, who have traditionally supported such content in print through magazines and newspapers, have been told by ad networks that they could achieve their objectives by purchasing low-priced inventory through networks or exchanges. And Internet ad-network salespeople have even promised one better: behavioral targeting, which, because it defines "the behavior," eliminates the need to pay higher prices to reach audiences when they are actually consuming the content that matters (or so the salespeople argue). ComScore studied advertising campaigns for 12 leading brands including Allstate, Ford and Kellogg to study the visibility and safety of where the advertising was actually running. 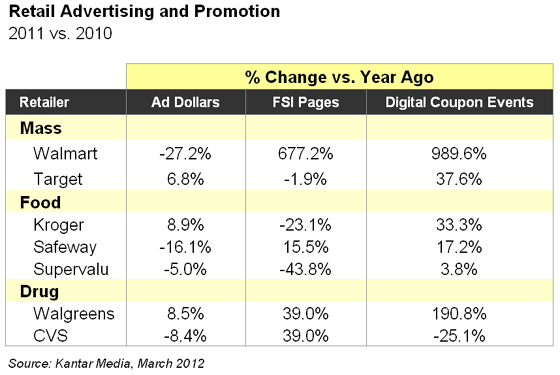 ComScore found that almost one-third of all the ad impressions were not in view (far down the page) of the reader. In other words, the ads are served but never seen. Imagine the credibility of an outdoor ad company that sold ads on a billboard next to a freeway but neglected to tell the advertiser the ads would be on the opposite side of the billboard, not the side visible from the freeway. That is what is happening to a third of the impressions reported in these campaigns. Furthermore, since advertisers are using (at least in part) ad-networks for their advertising, and the networks have hundreds or even thousands of sites on their lists, ComScore found that of the campaigns analyzed, 72% had at least some impressions that were delivered adjacent to objectionable content. Publishers don't have the luxury of just hoping media-buying agencies will take ownership of this issue. Why would the agencies that have been making these buys want to make a stink about this? They've known for years that this is a problem but haven't aggressively done anything because they just want to get the buy done and crow proudly to the advertiser about how "efficient" the campaign was. For ad campaigns to be successful, publishers need to aggressively market and sell to their client base the importance of visibility and safety. Train your salespeople how to open the conversation and direct the sales dialogue to these important issues. Last month I wrote about how to handle "competitive selling" issues. I wrote about selling "defensively" when a competitor attacks us, and the buyer asks how we respond to the accusations. And I wrote about selling "offensively" too: how to demonstrate directly that your media is better in some important way than a competitor's. That is precisely what Internet publishers need to be doing here. Publishers and salespeople should be going on the offensive to explain and reach agreement on the problem, breaking through to achieve attention and engagement in a fragmented and cluttered media world. Only then can salespeople sell the solution: direct-to-publisher advertising relationships at higher CPMs than the networks, delivering advertising in safe and valued environments for advertising effectiveness. There seems to be an epidemic of advertisers worried that people ignore their ads. No wonder, since we've now learned that almost a third of ads aren't seen. But rather than take responsibility for the problem they created by buying low-quality inventory, agencies pass the buck. That has led to a plague of RFPs demanding the "most competitive" rates. Publishers simply must train their sales staffs to take control of the "problem definition" in the sales process. If the buying agency is defining the problem as "efficiently delivering impressions" in the buys to make the campaigns more efficient, then the solution will be buying very low-priced and low-quality inventory. But if the problem is defined as communicating effectively to a target audience in a cluttered and fragmented world, then quality content publishers will have a chance to win. When you open the sales conversation with a discussion of how difficult it is today to capture attention and achieve engagement, then you have a license to introduce evidence of how difficult that is. With its study, comScore illustrates the difficulty for you, doing the competitive selling for you without trash talking. Kantar Media reports that retailer advertising expenditures increased 1.6% and retailer participation in Free Standing Insert (FSI) coupon promotion pages increased 30.7% in CY 2011 versus CY 2010. Additionally, digital coupon events increased 40.4% during this period across the leading retailer websites monitored by Kantar Media. Dan Kitrell, Vice President of Marx Account Solutions at Kantar Media, provided insights behind the data and analysis of the study. He is quoted frequently in the report. Important differences in advertising and promotion tactics were observed among leading retailers, though retailers and manufacturers are working together to implement integrated advertising and promotion programs to reach shoppers in the home where they are creating shopping lists and planning shopping trips. While manufacturers must understand the strategic role of their categories at each retailer, together with how their brands both complement and compete with other brands and private labels, Kitrell pointed out. 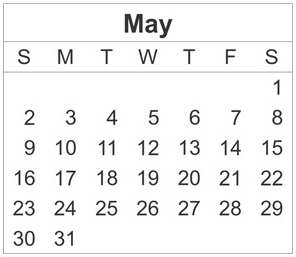 Manufacturers gain a competitive advantage by aligning their promotion timing with weeks in which retailers have greater advertising and promotion activity. Higher levels of weekly retailer advertising and promotion translate into their "share of voice" to drive more trips. Significant shifts in advertising and promotion activity were observed among leading retailers across the Mass, Food, Drug and other retail distribution channels. For example, Walmart decreased total advertising expenditures 27.2% across the 18 media monitored by Kantar Media, while increasing their participation in FSI promotion pages by 677.2%, and having 989.6% more digital coupon events distributed on Walmart.com during CY 2011 versus CY 2010. "Some manufacturers are leveraging the strength of their brand portfolios as part of corporate scale themed events that 'stack' retailer-aligned advertising and promotion support to break through the clutter with shoppers, improve the return on promotion programs with retailers and convert category shoppers into brand buyers in the store during these peak weeks," concluded Kitrell.